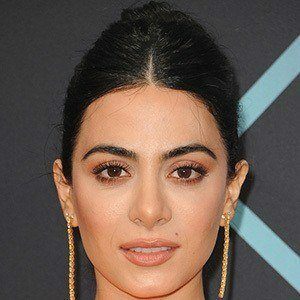 Mexican-Canadian actress, model, dancer, and host who landed the role of Isabelle Lightwood on the ABC Family series Shadowhunters. She was selected to be a part of season two of Nuestra Belleza Latina, finished in 5th place of Model Latina in 2009, and competed in Miss Texas USA in 2010. She was 10 years old when she first appeared on screen in a Televisa program as a presenter on Mundo de Ninos. She was crowned Miss South Texas, RGV Miss America, and Miss Teen Brownsville. She has worked with brands such as Maybelline, JCPenney, State Farm, AT&T, Sony, and more for ads, commercials, and campaigns. 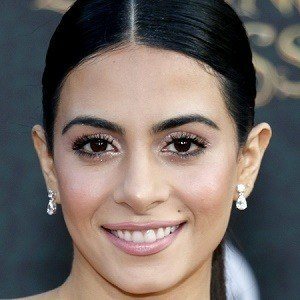 She was born in Canada and raised in Brownsville, Texas. 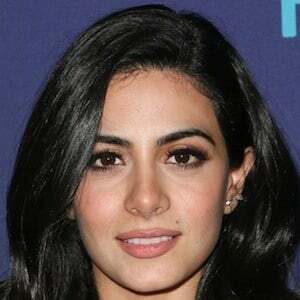 She is of both Mexican and Lebanese descent. In 2011, she began dating Prince Royce. They reportedly got engaged in June 2017 and secretly wed in March 2019. She was coached by Adriana Barraza when she guest-starred on Nickelodeon Latin America's youth telenovela 11-11: En mi cuadra nada cuadra.